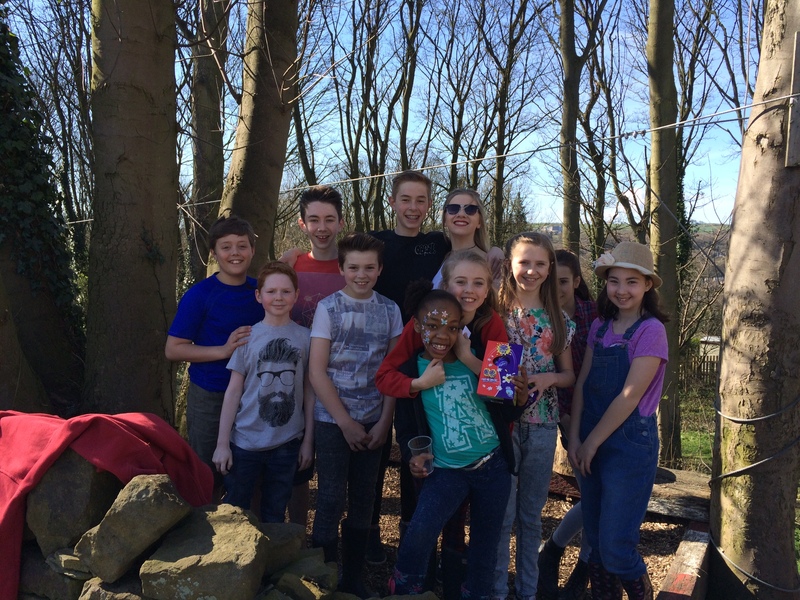 We enjoyed beautiful sunshine for our Easter Fun Day – we all know Mrs Berry is capable of organising anything, even the weather! The Jackson family were our hosts for the day and did a fabulous job, thank you so much. The first of our 150 guests began to arrived at 10am and were straight onto the bouncy castle, zip wire or busy with craft activities in the party barn. Sarah and Karen Burton were kept busy all day face painting and the kids looked fabulous. We started the Easter Egg Hunt at 11am and all the children (including some big kids!) had a booklet and went off searching for clues in the garden, field and the woods while the adults enjoyed a cuppa and a bun in the sunshine. When they had found all the clues and completed their Easter words they collected their prize of an Easter egg. The prize draw for the bunny came up next, with Jack being overwhelmed with his prize that was bigger than him! It was soon time for lunch which we all agreed was the best BBQ food in South Yorkshire and we spent some more time relaxing and enjoying the facilities. It was a real family atmosphere with everyone chipping in to serve food, clear up and help wherever needed. Mrs B showing the girls how elevation gets done properly. All that changed with the highly competitive egg and spoon races which culminated in the teacher’s race, won by Mrs Berry. We also had an expert judge, Suzanne Leech, for our colouring competition with many wonderful entries. The day ended with a visit from an ice cream van and everyone left happy after a thoroughly enjoyable day. When the gazebos were put away and all was tidy, myself, fellow Committee members Andrea and Charise and also Mrs Berry decided it was our turn on the zip wire – we were very proud of ourselves. It was a fantastic day. Thanks to all who came, a big thank you to everyone who helped out before, during and after the event, and of course a massive well done and thank you to the Jackson family. Mrs Berry and her staff would like to thank Gemma and the Fundraising Committee, not to mention the Jackson family and everyone else who helped make this wonderful event possible. We are very grateful and impressed by the Fundraising Committee’s activities and the generosity of the friends of the school who continue to support it time and time again. If you would like to find out more about our Fundraising Committee, please click here.